If there has been a programming language that has held its utility for a considerable amount of time, it has to be Python. Python development services have been one of the most prevalent technologies in recent times. As you may have not, Python brings without power, flexibility and dynamic city as a scripting language. Since it is open source, which has got a lot of attention from top developers all over the world and has been the power behind a lot of startups and cloud Technology providers. Python he is considered to be the Zen of programming languages! Python was probably the first language that questions the proportion between functionality and length of the code. Python believes in readability flexibility and simplicity that does not essentially compromise on complexity for the want of complications. Python powers a lot of technology companies including but not limited to Google, Dropbox, Instagram, YouTube and even talk and technology utilizing organizations like NASA. Python requires pure quotes and this significantly brings down the time taken for development. Using Python for development also brings down the cost as fewer man-hours are required to develop a product or a website. Python is uncompromising on security and it is one of the aspects that makes Python a favorite for developing web and mobile applications. Python supports multiple programming structures. It could be imperative or functional or object-oriented programming and Python has covered all of it. 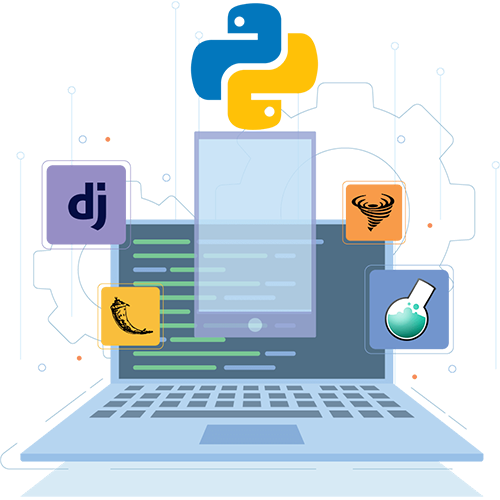 We are one of the leading Python development company in Chennai and we deliver the best in class mobile and web applications that use advanced Python development web framework, programming language and governors of cutting-edge tools that help to bring out what is the best for your business in the most cost and time effective way possible. We have a team of knowledgeable and experienced developers who lay their focus in development that falls in line with business requirement by incorporating innovative and collaborative project management to bring out the best for the sake of your excellence in business. 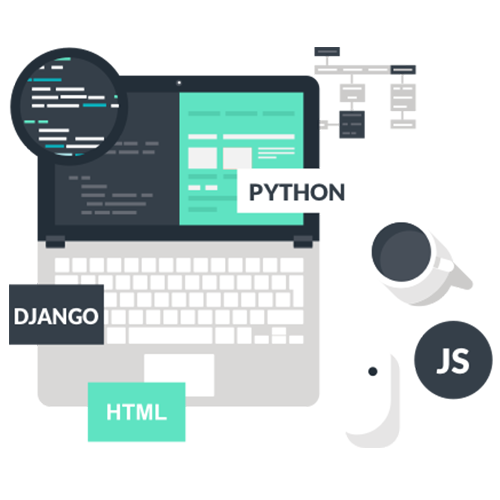 Our development team takes care to exploit some of the best features of python and in all of this, they ensure, state of the art product development and coding excellence. Our team close multiple Technologies, it can also help to offer project solutions that can facilitate a seamless integration with other Technologies, codes and application programming interfaces. We understand that time is one of the biggest investment that you will make in terms of creating your product and for your business. We ensure that we do not cross the mutually agreed deadlines. It is not just enough with the development of the product but is also important to hand hold you in the all coming days when you get familiar with the product and to troubleshoot the minor issues that you might face. This is where the relevance of our support team comes in! Our team of developers are eager to collaborate with you in Creating your product or application. Just drop a sin a line and we will get in touch with you to take our collaboration forward to the next level so that our coding expertise in Python comes in handy for your excellence in business!